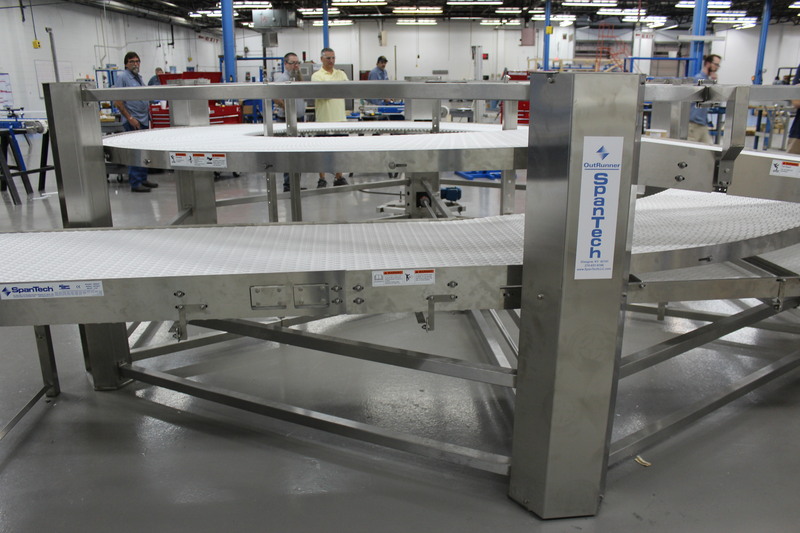 Advanced Equipment Company & Span Tech solve the cracker cooking conundrum with a 360-degree Spiral plastic belt curved cooling conveyor with only a quarter-horsepower motor. First of all, it travels 360-degrees around the room. Although this is not completely unheard of, it’s very challenging. 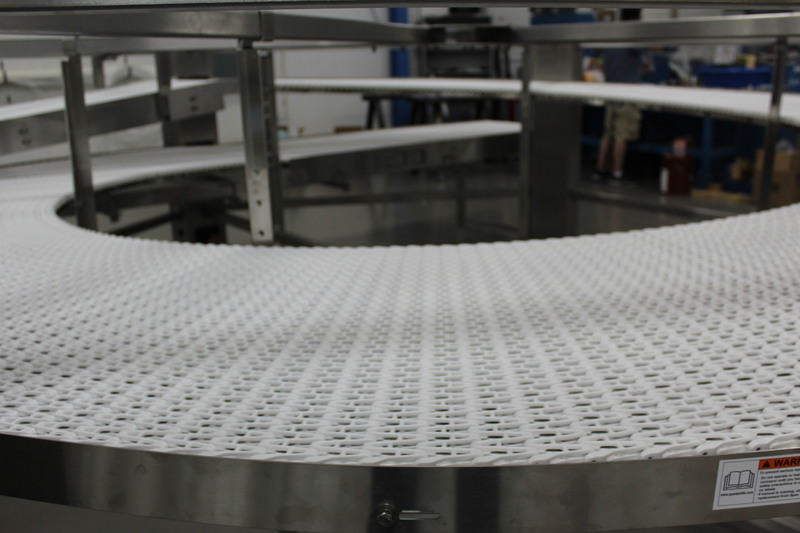 The nature of the spiral conveyor means there’s a lot of drag between the plastic chain and the outside edge. Drag means friction and friction means more horsepower is needed to keep things moving. “To do it the traditional way, we’d have needed three, synchronized motors,” said Charlie Williamson. Not impossible, but very difficult and expensive. Instead, AEC constructed a quarter-horsepower motor driving the belt chain at multiple points. 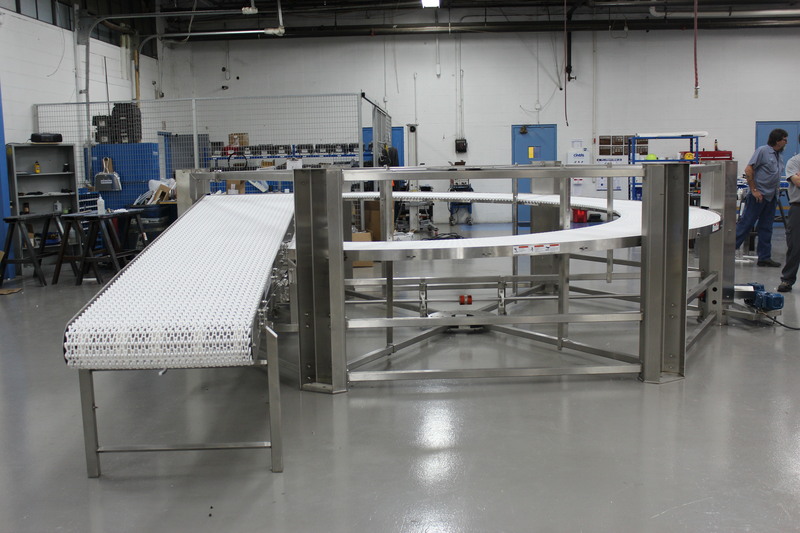 This allowed the 360-degree conveyor to move to the exact timing needed by the cooling crackers – 10 feet per second – on far less horsepower than would have been needed.